Everyday we watch Donald Trump say or do something stupid? Most of us question why he’s even still the President…. Some Democrats think we should get rid of him…. Most of their fellow Congressional colleague’s do NOT….At least not now…. 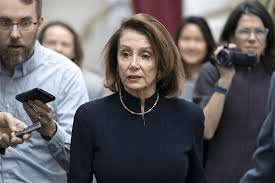 The House would surly vote to impeach President Trump…. While younger Democratic lawmakers probably don’t remember or care? President Bill Clinton gained popularity AFTER his impeachment effort that failed…. Donald Trump has NOT been charged with anything that meets the ‘high crimes and misnomers’ threshold YET…. He’s very unlikely to have criminal charges dropped on him because The Dept. of Justice has a policy of not encumbering a sitting US President with the job of fighting criminal charges…. (This IS STUPID)…. Any charges brought against Trump will be handled by the other branch of government ….The Congress…. And over in the US Senate? There are more Republicans then Democrats and that means Trump would NOT have the 67 Democrat and Republican US Senate votes against him unless he REALLY did something seriously criminal…. With the way the above comes out? It just isn’t gonna happen…. Speaker Nancy Pelosi (D-Calif.) and House Majority Leader Steny Hoyer(D-Md. ), however, have long signaled caution on the issue. It’s clear they’re worried about doing anything on impeachment that might end up boomeranging on Democrats and helping Trump and the GOP. Both were in Congress when Republicans impeached former President Clinton, an effort that undercut the House GOP at the time…..